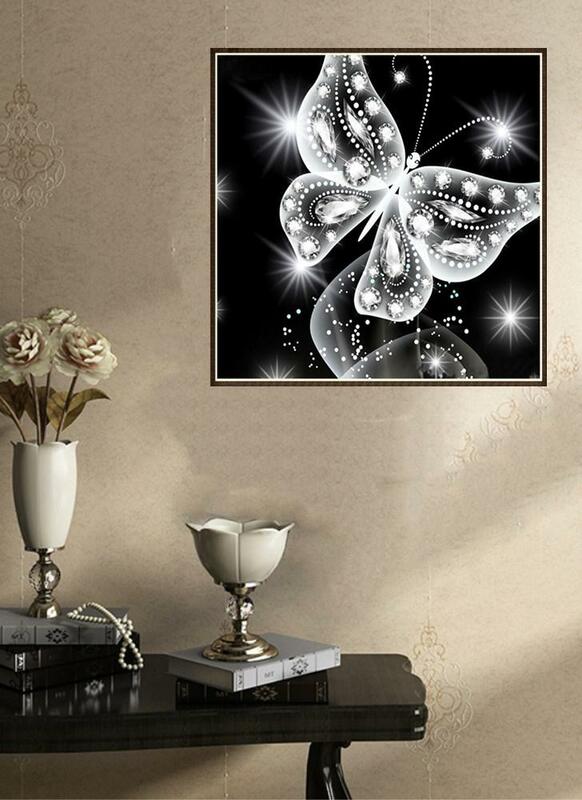 Elegant butterfly pattern diamond painting, which consists of high definition canvas & resin rhinestones, is a vivid interior decoration for your home. Elegant butterfly pattern, perfect interior decoration for living room, study, entrance, etc. Accurate pattern and resin rhinestones shows strong 5D effect. The rhinestones are packed in the individual bags and the color table is printed on the canvas, easy to identify.